Published By – Rough Trade Publishing Ltd. 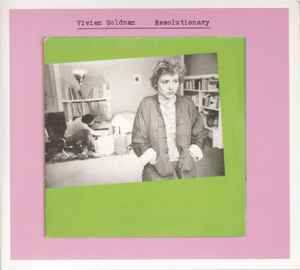 Tracks 1-3 originally released 1981 as "Dirty Washing" on Window / Rough Trade (U.K.) and on 99 Records (U.S.), Courtesy of Vivien Goldman. Publisher: Kassner. Tracks 4-5 originally released on "The Flying Lizards" (Virgin, 1979). Courtesy of Universal Music International a Division of Universal Music GmbH. Publisher: Kassner [track 4]. Publisher: Universal [track 5]. Released in digipak with 12 pp. booklet. Booklet credits for tracks 1 to 3 and 6 to 8 refer to the original releases, yet not to the specific tracks compiled on "Resolutionary". Listed credits correspond with the originals. Why did Robert Wyatt disappear from the credits? He was credited on the originale releases.